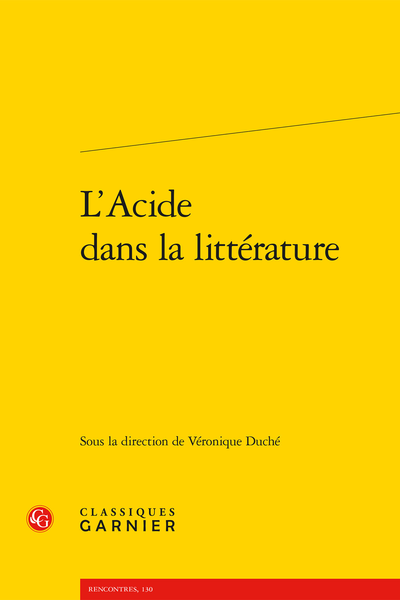 Abstract: This volume is the fourth in a series exploring the flavours - salt, honey, bile, hydrochloric acid - of French literature. It tracks down acidic flavours in texts from the seventeenth century to the present day with the help of a scientific expert. Arrogante traîtrise ou « heureuse témérité » ?